Esophageal spasms are not fun. They can kind of come out of nowhere, be rather painful and overall, and make you feel pretty crappy—especially while you’re trying to eat. But what is an esophageal spasm? How is it different than something like acid reflux? In this guide, we will take a look at esophageal spasm causes, esophageal spasm symptoms, what goes into esophageal spasm diagnosis, and how they can be treated both medically and naturally at home. If you suffer from esophageal spasms, you will want to read ahead, as there may be some information that can help you out. Esophageal spasms are contractions of the esophagus. These spasms are sudden and uncontrolled. They tend to be very uncoordinated, and can affect your swallowing of food. Sometimes, these spasms can be controlled, but they are very strong. Part of the problem with esophageal spasms is that there isn’t a real cause for them. It doesn’t seem to be genetic, nor does there seem to be any particular reason why they start. The only clue seems to be a connection with the abnormal functioning of nerves that cause you to not being able to swallow. In terms of symptoms of esophageal spasms, there are a four common ones that you should be aware of. There can be difficulty swallowing, especially while eating and drinking. There may be even specific foods or drinks that might cause it more often than others. Part of the muscle contractions that come with esophageal spasms can make it feel like you have something stuck in your throat, even if you haven’t eaten for a while. Due to the constriction of the esophagus, food and drink might not make it all the way down the throat, and may come back up instead. You can feel a tight, sharp pain in your chest. It can be painful enough that you may actually think you’re having heart problems as opposed to esophageal spasms. With these symptoms in place, the next thing to do is to go to a doctor and get a proper diagnosis. When diagnosing esophageal spasms, the doctor has a number of tests that can help them figure out what’s going on. This test is to determine if stomach acid is dropping back into the esophagus. This is also to determine if you are suffering from esophageal spasm, or whether it’s a result of acid reflux. This test measures muscle contractions in the esophagus when you swallow water. A flexible camera is passed down your throat, and allows your doctor to see the inside of the esophagus. He or she may also use the endoscopy to collect a tissue sample so it can be tested to rule out other causes. This is usually done after drinking liquid to see what your esophagus is doing when you swallow. 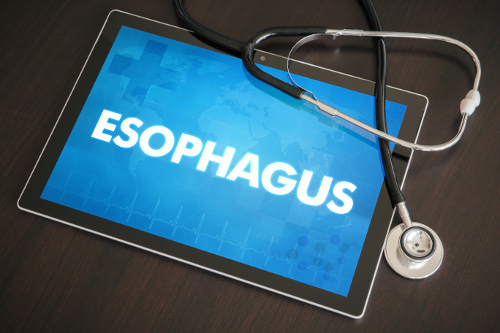 Once the esophageal spasms are properly diagnosed, sufferers can move on to treatment. If esophageal spasms are diagnosed, there are a number of treatments that can be undertaken in order to try and take care of the issues that come with the spasms. A device is placed down your esophagus. It is used to carefully expand the narrow areas of your esophagus. This treatment may have to be performed more than once. Depending on the seriousness of the spasms, surgery may be an option. Certain medications may also be administered if surgery or dilation is not an option. These medications relax the esophagus muscles. The unfortunate thing about esophageal spasms, is that you may also have to be treated for things like gastroesophageal reflux disease (or GERD), which tend to go hand in hand with esophageal spasms. Another route you may choose to go is the natural route, as there are several esophageal spasm natural treatments that may also give you some relief from the condition. With all of the medical esophageal spasm treatments, it’s also good to know that there are a few natural treatments that may work to help with the esophageal spasms, or in some cases, eliminate them. Here are seven natural treatments you can try. There may be certain liquids or foods that trigger your spasms more than others. You can help control these by avoiding the foods that do this. One of the quickest ways of figuring out which foods might be causing the spasms, is to keep track of your dietary habits and spasms in a diary. Don’t eat anything hot or very cold. Try to aim for a medium temperature, like warm or cool. Hot and cold foods and drinks can put more stress on the esophagus, and may trigger the spasms. If you are a smoker, it may be time to attempt to quit. The inhalation of smoke, especially tobacco smoke, can irritate and damage the esophagus. If you are overweight and finding that you are having esophageal spasms, losing some weight might help the situation. Eating more fiber is always advisable, but in this case, it can help alleviate some of the symptoms of esophageal spasms. Also, it can help with weight loss by making you feel full and curbing your eating. Unfortunately, for many people who suffer from esophageal spasms, one of the trigger foods can actually be spicy foods, and the spices that make them that way. It is best to less spice, or eliminate it altogether. Deglycyrrhizinated licorice may also help relieve some of the symptoms of esophageal spasms. This can be taken in powder or tablet form, and should be taken regularly before meals. Deglycyrrhizinated licorice is a licorice extract, and shouldn’t be confused with the candy version. Esophageal Spasms Hurt but Can Be Treated! Esophageal spasms are unpleasant. There are no two ways about it. They can make you feel like your choking, regurgitate food you just ate, or they can even hurt bad enough that you may think you are having a heart attack. Luckily, there are a number of natural treatments you can try to decrease or eliminate the spasms, as well as medical procedures that can do the trick. Hopefully, this guide will help you recognize the symptoms, so you can get help and relief as soon as possible.